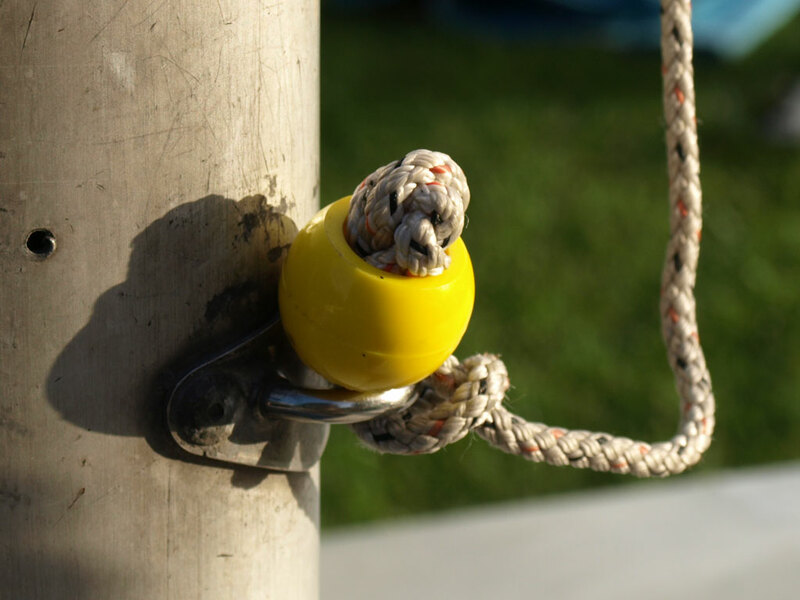 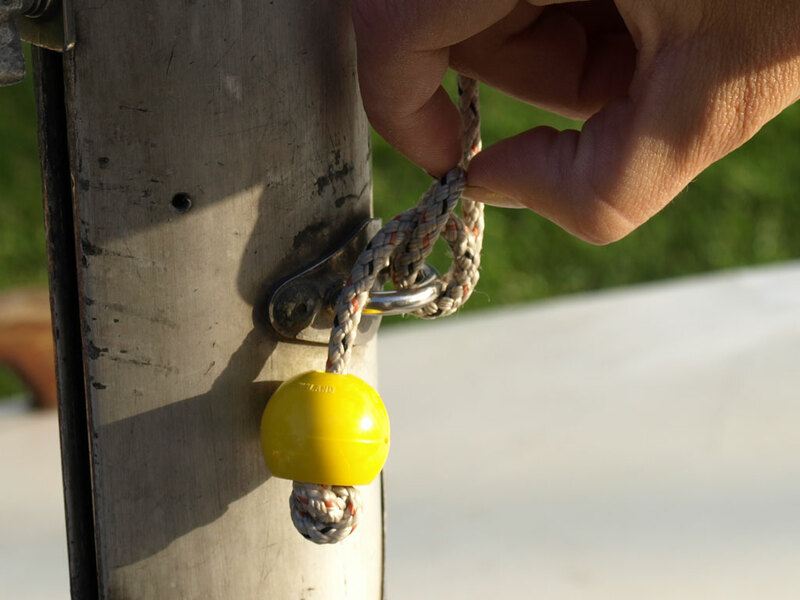 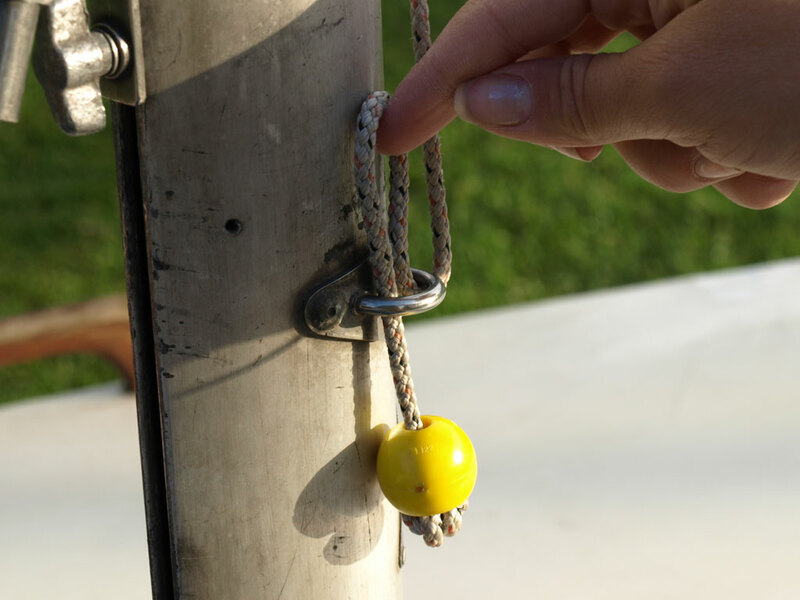 This is one of the simplest ways to tie a halyard to a sail that doesn't involve any pins, shackles or other things that can be lost. 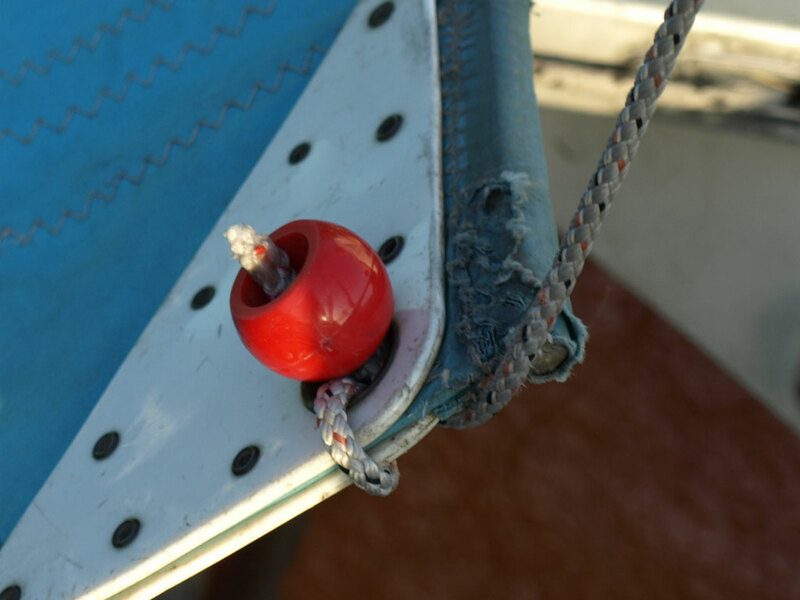 Yet when you have not used stopper bobbles for a while or are new to them, they can be one of the most alien things to undo. 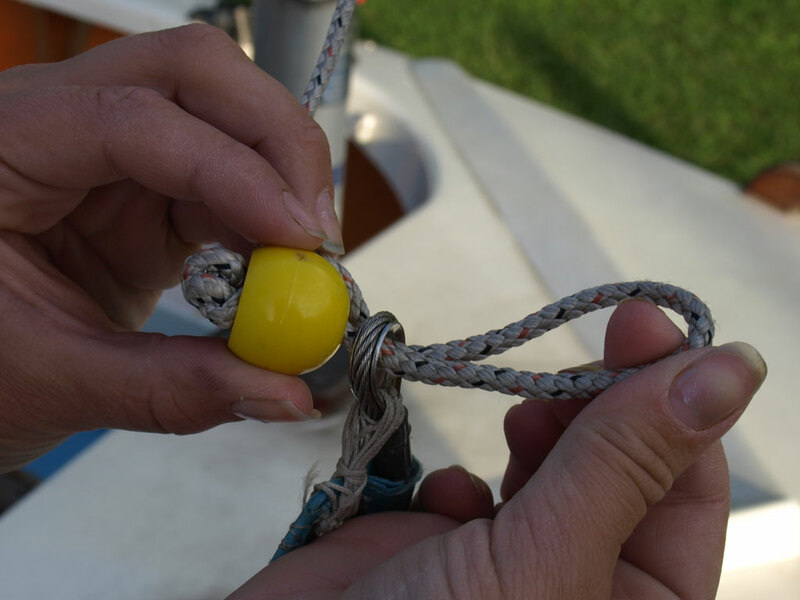 Here's a few notes to jog your memory on attaching or removing stopper bobbles from sails or fittings. 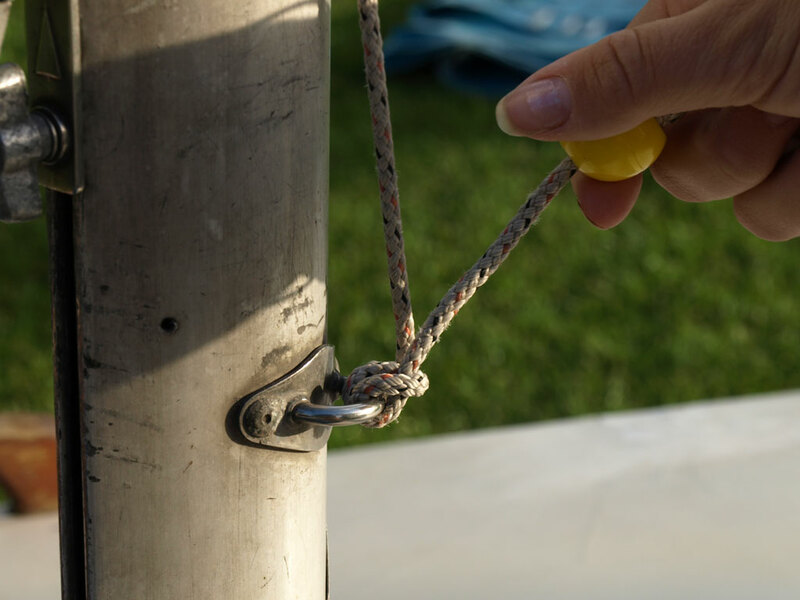 First, make a bight in the rope (aka a loop) as in Photo 1, and push this loop through the wire loop at the top of the luff of the sail (Photo 2), the hole in the head of the main sail (Photo 6), or the fixing point on the mast. 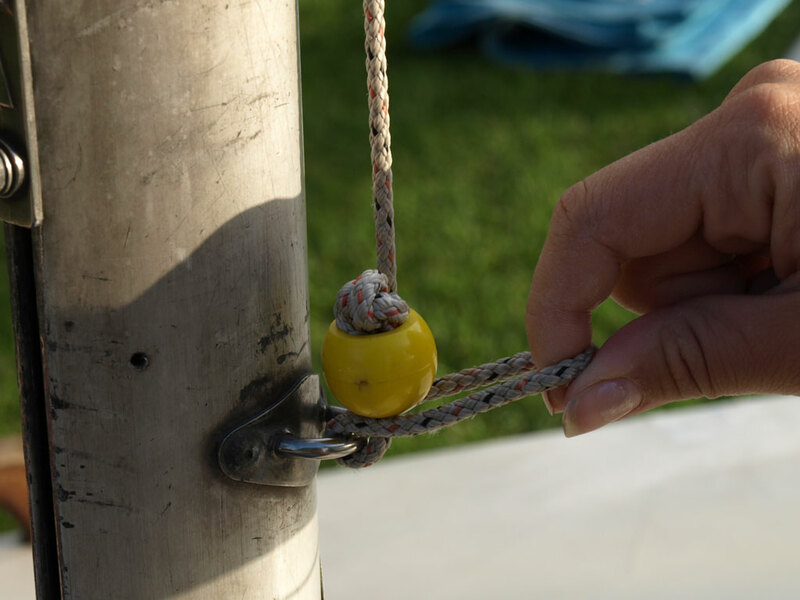 When pushed through, make the loop bigger (Photo 3), so you can then push the bobble back through the loop (Photo 4), and then pull the stationary (non-working) end of the rope tight to take any slack out (Photo 5 and Photo 7). 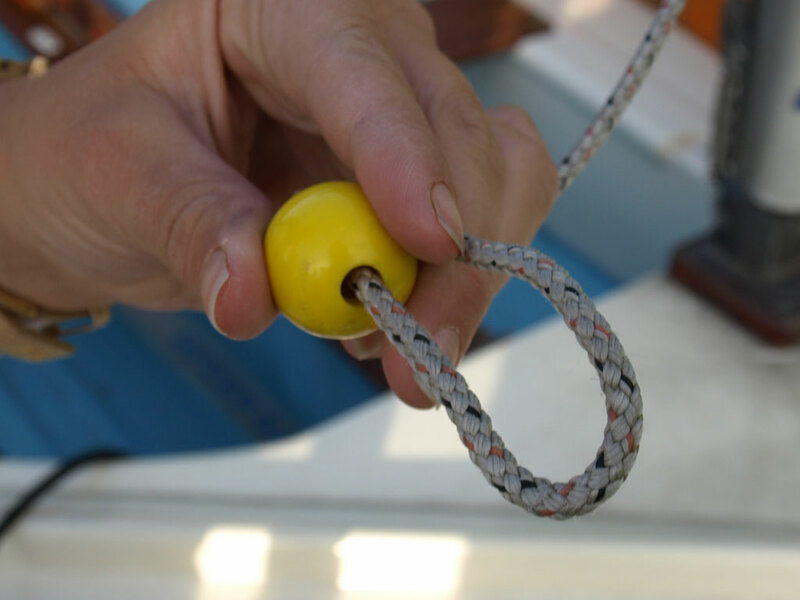 You're done! 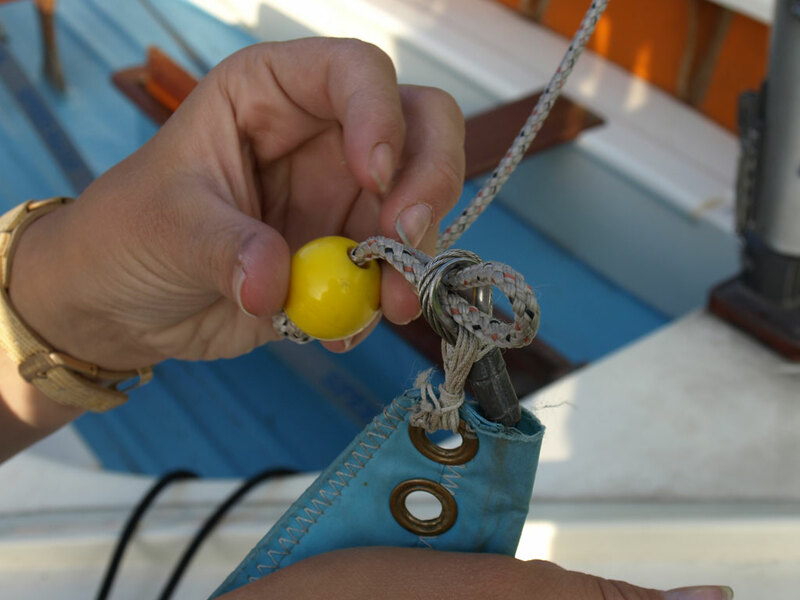 Starting with a bobble attached onto a sail or mast as in Photo 8, pull the bobble away from whatever it is fixed to (on the side that the bobble is on), as in Photos 9 and 10. 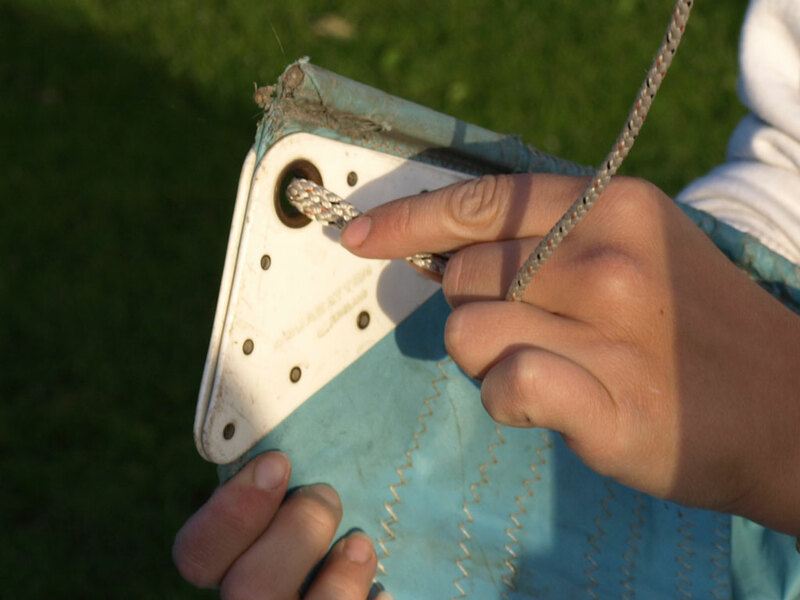 This will pull the loop that is trapping the rope through the fairlead or sail, and free it. 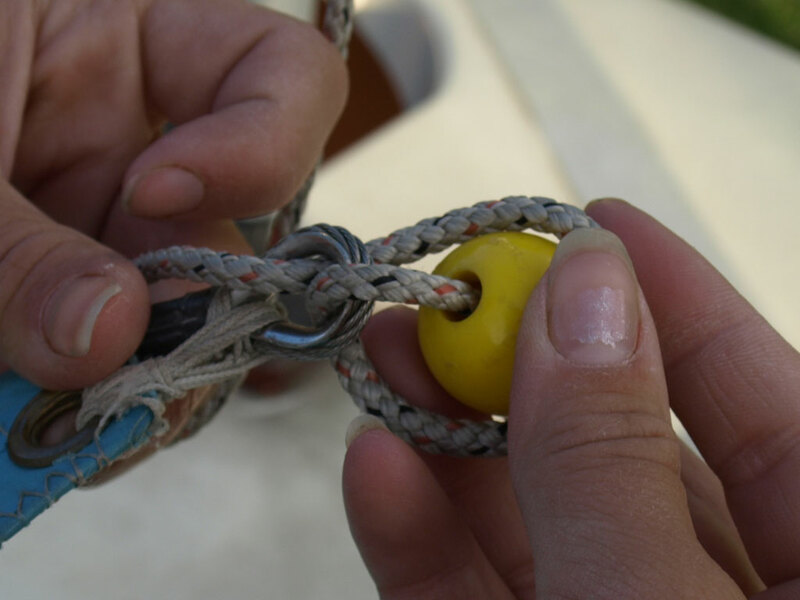 You can then use your fingers to open the loop by pulling more slack rope through. 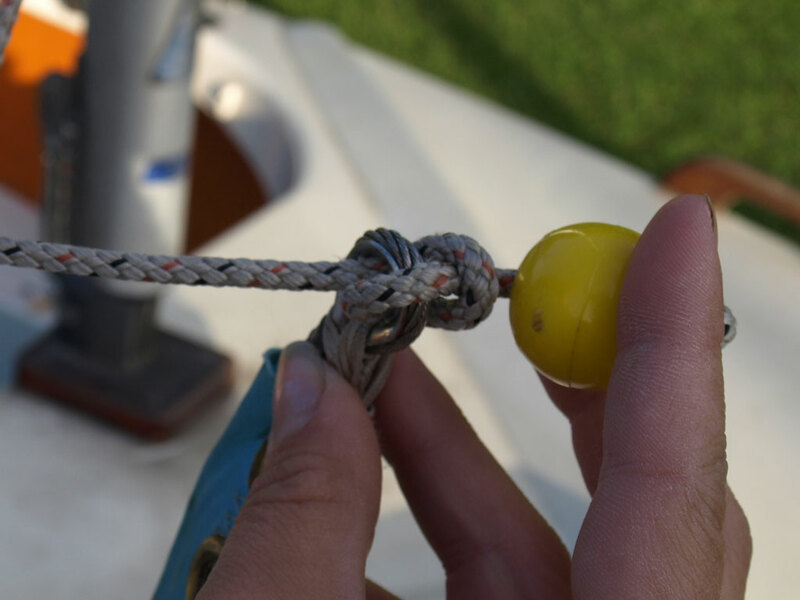 (Photo 11). 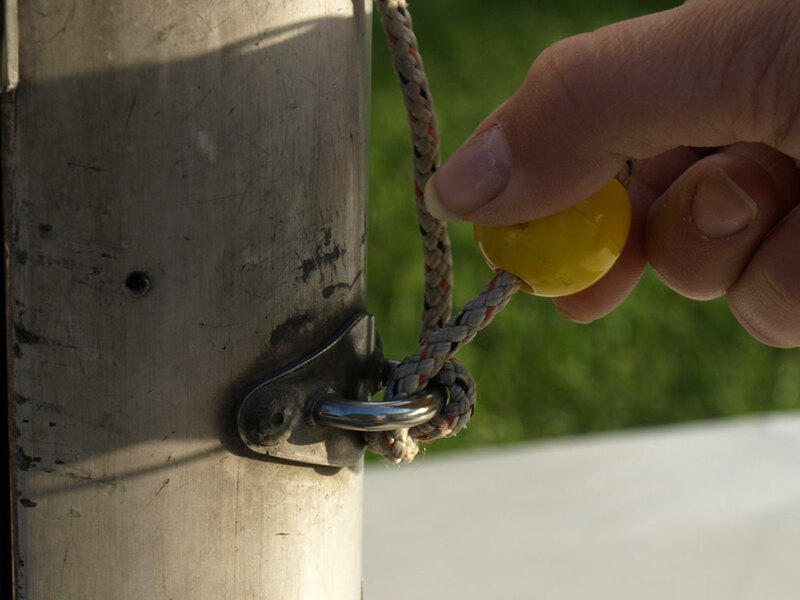 When the loop is big enough, the stopper bobble should be able to pass through (Photo 12), at which point you simply have to pull the bobble down to pull the loop back through, releasing the rope (Photo 13).